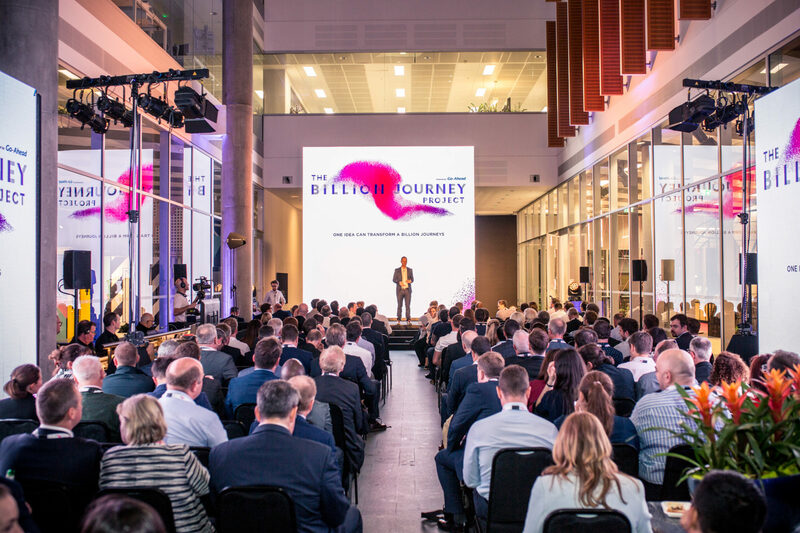 Residents of Huckletree in Mediaworks, the Billion Journey Project, created as part of Go-Ahead’s efforts to improve customer travel experience through innovation, recently hosted an exciting evening at White City. The event was titled Demo Day and was an opportunity for companies to pitch their business ideas with the aim of launching their technology products into the transport industry. Go Ahead are one of the country’s largest transport operators, as well as the UK’s largest transport accelerator hub and were providing an opportunity for scale-ups and start-ups to expand further. The event saw the tech company’s battle against each other, competing for greater access and knowledge in to the industry, provided by one of three of Go-Ahead’s subsidiaries – Southeastern Railway, Govia Thameslink Railway and Brighton & Hove Buses. It was also an opportunity to hear from industry experts, such as keynote speaker and futurist, Matt Griffin as well as Go Ahead’s Chief Executive, David Brown. As part of the eight-week scale-up transport innovation programme, each company had received mentoring, access to Go-ahead data, insights from industry experts and office space at Huckletree in order to prepare for the finale event. The overall winners on the night were Airportr, a London based online luggage company with the aim of making travel simpler, through their home bag check-in service. Other successful companies who also gained contracts were; Cityswifter, Commuter Club, Hygiene pro clean, Travel Al, Ticketless and Realtime Knowledge. After the pitches had taken place, those involved in the event were able to discuss their plans further over food and drink which was available from several pop up street food stalls within White City Place.